Door handles are essential for access in homes and businesses around the world, but it doesn’t follow that they should all be the same. Designers and artists have been putting their own unique spin on an old classic for years, and below are just some of the interesting and unusual handles designed to make any humble door stand out. Everyone knows the story of Alice in Wonderland, and among the memorable characters from the Disney version of the story is the Doorknob. His nose forms the door handle, and his mouth is the keyhole, and his cartoonish appearance is a really different choice for any door, especially for children’s rooms, as it brings a little bit of magic and mystery to what would otherwise be just a simple internal door. In most cases, the only limit to the type of door handle you go for is your imagination. So it’s not impossible to have something a little bit special and completely unique. 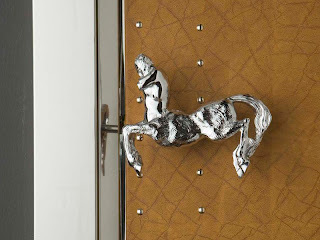 Take this door handle in the shape of a centaur. Elegant and unique without being garish, it adds a touch of ancient Greek mythology to any home, and really is a talking point – whether it’s on a cupboard or wardrobe door, or whether it provides access to your living room. #3 How Do You Do? Door handles are usually ergonomic in design and shape; none more so than a hand-shaped handle! What could be more satisfying and friendly – if a little disconcerting – than shaking hands with a door as you open it? This particular design is extremely lifelike, with knuckles and fingernails, and it certainly is a break from the norm! It can give an otherwise ordinary door a bit of pizzazz, and will certainly be an interesting ice-breaker for friends and house guests! If you’re looking for a door handle that’s sleek, chic but has something special about it, look no further than this design. Thanks to its more traditional shape, this handle will look great on any door, adding interest while maintaining an attractive and subtle appearance. Its modern, brushed steel finish is hugely popular, and it will look equally at home in contemporary apartments as well as traditional homes. 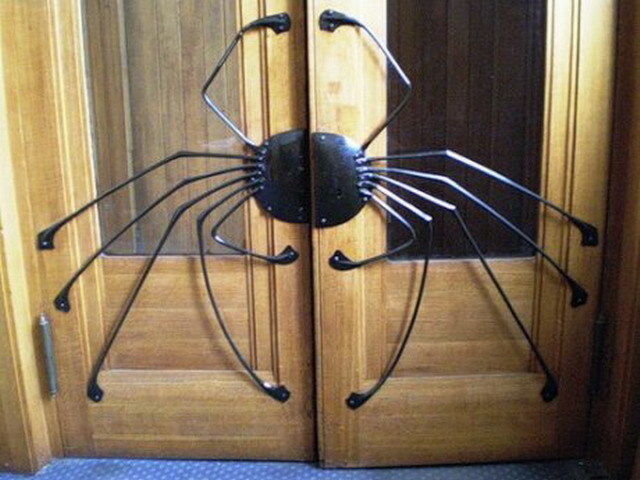 Of course, door handles don’t have to be small and subtle – this crab design spans the width of the door, and really makes itself a feature! More suited to larger doors and those in restaurants and other commercial premises, the crab’s legs provide a range of handle heights, making it a great choice for any child-friendly premises. While each of the above door handles are unique and unusual, you don’t have to have an outlandish or unusual handle to really make an impression or give an old door a new lease of life. 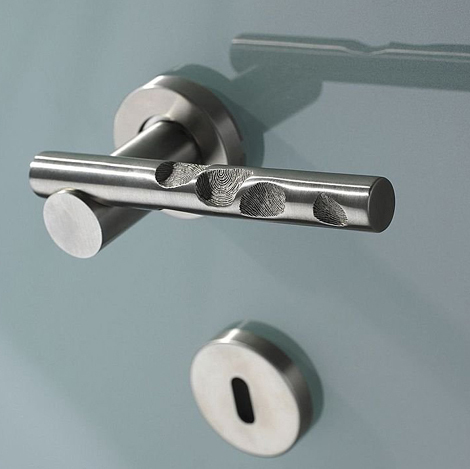 There are a wide range of modern and traditionally styled handles that can really bring interest to any door, whether it’s internal or external, and regardless of your budget. Doorfit supply door handles in a variety of different shapes, sizes and materials – including brass and chrome – so you can be sure that there’s always something available to suit your tastes and requirements. Whether you’re after a new handle for your front door or are looking to replace all of the handles on your interior doors to bring your home bang up to date, the Doorfit team will be happy to discuss your requirements and use their years of experience and expertise to recommend the most suitable handle for your requirements. 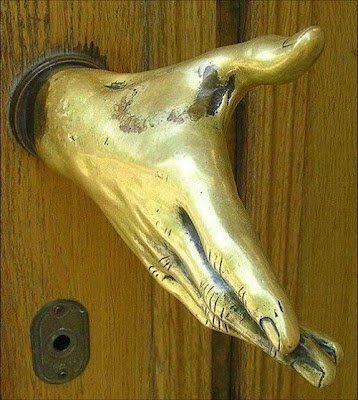 I like the brass hand door knob.. How much are they?